Patagonia is a massive, sparsely-populated region in south Argentina, with about 10% of its 400,000 square miles falling within the borders of Chile. On the Argentine side, one can find a wealth of unspoiled wilderness across the region, including the Nahuel Huapi National Park, Bariloche, El Chalten, Peninsula Valdes, and Los Glaciares National Park. It’s also home to the Patagonian Ice Sheet – an enormous ice formation that can be viewed aerially via plane or helicopter tours. Patagonian terrain covers everything from the foothills of the Andes mountains, to the lush pampas (lowlands) and grasslands, desert steppes, and rich coastal areas. Patagonia can be roughly divided into three sub-regions: Eastern Patagonia, Western Patagonia, and probably its best known area: the southern archipelago of Tierra del Fuego. Tierra del Fuego’s capital, Ushuaia, is widely considered to be the southernmost city in the world, and serves as a gateway hub for people travelling onward to Antarctica. Patagonia is truly the land of the gaucho, a heroic, cowboy-like figure celebrated in Argentinian folklore and literature. Gauchos are generally viewed as rugged outdoorsmen with excellent horsemanship skills. The indigenous people of Patagonia are the Mapuche, self-described as 'people of the land.' Note that Mapuche is a general term that includes many subgroups with a shared linguistic and ethnic history – its two living languages are Huilliche and Mapudungun. The Mapuche are well-known for their traditional weaving and silverwork, and their method of outdoor pit cooking, or curanto patagónico, where meat and vegetables are wrapped in leaves and cooked for hours among hot stones covered in earth. Interestingly, Patagonia’s Chubut province features a neat cluster of Welsh towns, with names like Rawson, Trelew, and Gaiman. Originally called Y Wladfa Gymreig (The Welsh Colony or Settlement), Argentina’s Welsh community put down its roots in the 1860s after the Argentine government encouraged European immigrants to settle in rural areas outside Buenos Aires. Y Wladfa even has its own anthem, Hen Wlad Fy Nhadau. Visitors may be surprised to find Welsh-style tea shops, windmills, and chapels in the area. If you’re headed to Patagonia, chances are, you’re in for some rustic, trekky adventures, so prepare accordingly. Pack practical layers, and good, waterproof outerwear, especially if you’re planning on doing a trek on a glacier or mountain. 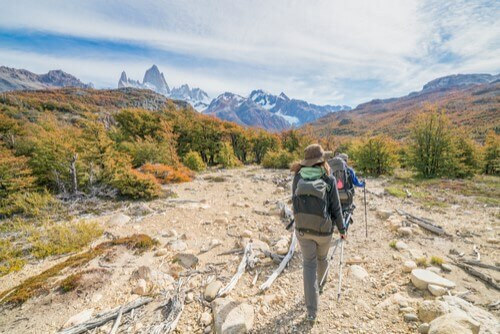 Even if you’re going in the summer, consider taking along thermal underwear, sunglasses, high-SPF sunblock, hat, and a good face-cover, balaclava, or scarf – all of which can come in handy when the infamously brisk Patagonian winds start to blow. If you’re planning on proper trekking or camping, a down jacket and fleece are must-bring items. 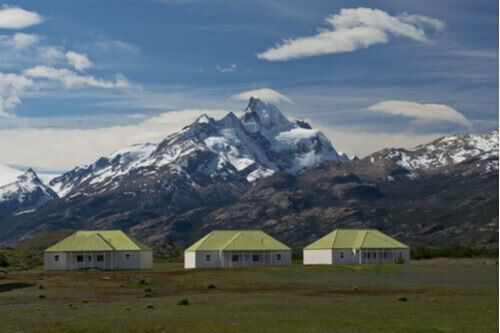 Patagonian weather is notoriously unpredictable, and it is said that visitors can experience all four seasons in one day. Good wool socks and study hiking boots are a must, although we recommend breaking in new shoes well before your trip to avoid blisters (and regrets). 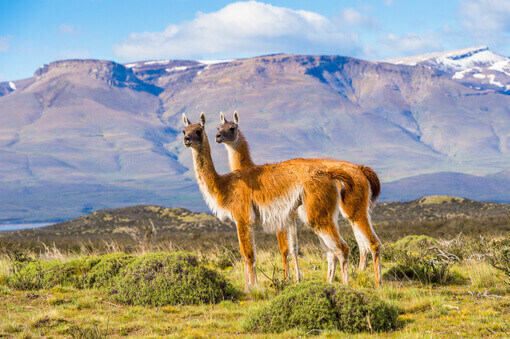 There are plenty of exotic residents to see on your travels through Patagonia, especially the plentiful herds of guanaco (a close relation of the llama) and camera-happy hordes of penguins along the coast. Avid bird-watchers can expect to see an incredible range of species, from mighty Andean condors to flightless Darwin’s rheas, Chilean flamingos, and tiny green-backed firecrowns – a type of hummingbird endemic to Patagonia. Bring a pair of binoculars to maximize your nature-watching experience as you traverse these majestic landscapes. If you’re trekking or hiking, be mindful of signs and guidelines that are designed to minimise human impact on the native animals and their habitats. As with most South American food, it’s all about the meat in Patagonia. Thanks to the importance of sheep farming in the region, lamb is extremely popular here, best tried in the form of cordero al palo (spit-roasted lamb). The parradilla (mixed grill) in these parts might feature a bit of goat, mutton, pork, sweetbreads, and even a slice of guanaco. And while Argentina is beef country by default, the coastal regions of Patagonia are well-known for delicious fresh seafood – Ushauia in particular is famous for its Magellan king crab (centolla) and mussels. Also, be prepared for tons of carbs – this is wild country, and locals live on five types of potatoes and lots of bread. Empanadas are common, although there’s a high chance that savoury Patagonian empanadas will be filled with meats instead of cheeses. 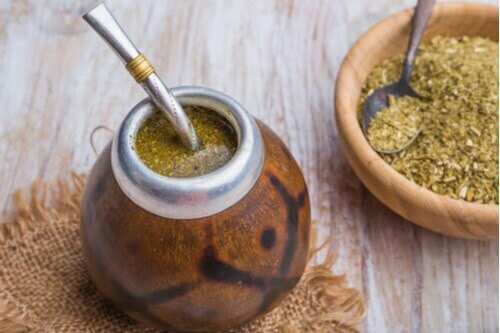 There are also delicious, strong yerba mate teas, which are typically served in a distinctive round cup with a bombilla straw – among gauchos, drinking mate is usually a social activity that traditionally involves passing around a shared drink. 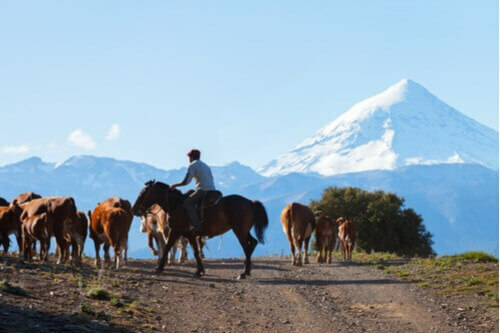 Estancias or private ranches are a great way to experience rural Patagonian hospitality, and to catch a glimpse of modern gaucho culture; many gauchos live and work on estates as shepherds, horse or cattle ranchers, and jacks-of-all-trades. Many estancias are functioning ranches or farms that operate their own inns and restaurants (historic guest ranches are called paradores), often serving home-cooked meals that showcase the real flavours of Patagonian produce. Popular estancia activities include horse-riding lessons, fishing, or hiking. Patagonia covers an enormous amount of land, so if you’re planning on renting a car or motorcycle, be prepared to fend for yourself. Bring extra food, water, flashlights, batteries, blankets and coats, and if possible, an extra tank of petrol in case you get stranded for the night. We recommend downloading an offline map of the area, or even better – an old-fashioned paper map. Hitchhiking is relatively safe and common in the southern areas, but not recommended if you aren’t prepared to do a lot of waiting around, possibly in the dark and cold. 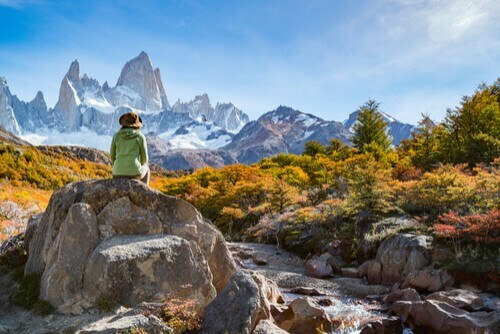 Renting a car has several perks, one of which is creating your own itinerary to see Patagonia’s numerous natural features, or taking a side trip to visit alpine destinations like Bariloche or El Bolson. In general, Argentina has an extensive network of trains and buses, but prices and schedules can be unpredictable, especially in rural areas.